Here in the UK we’ve had an incredibly sunny summer, the best I can recall and it’s not quite over yet I hope. We took our children to Cornwall and the Isles of Scilly for a couple of weeks at the end of July. Coming from a landlocked part of England, it was great to be so close to the sea. 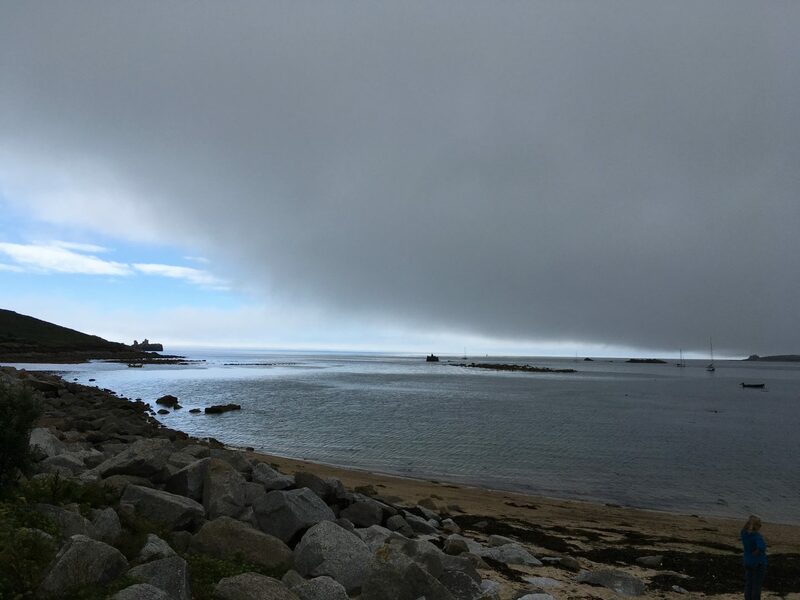 We witnessed some impressive storms during our stay on the Isles of Scilly. Surrounded by the Atlantic Ocean, the Scillies see rapid changes in weather, so we were fortunate to have plenty of sunshine too. I found the skies and sea utterly mesmerising. 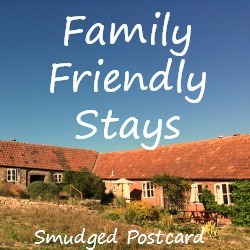 There was such a diverse range of accommodation in July’s Family Friendly Stays link up. I loved reading about Victoria Falls Waterfront by Travelynn Family. The rooms look really fun and the restaurant view looks incredible! 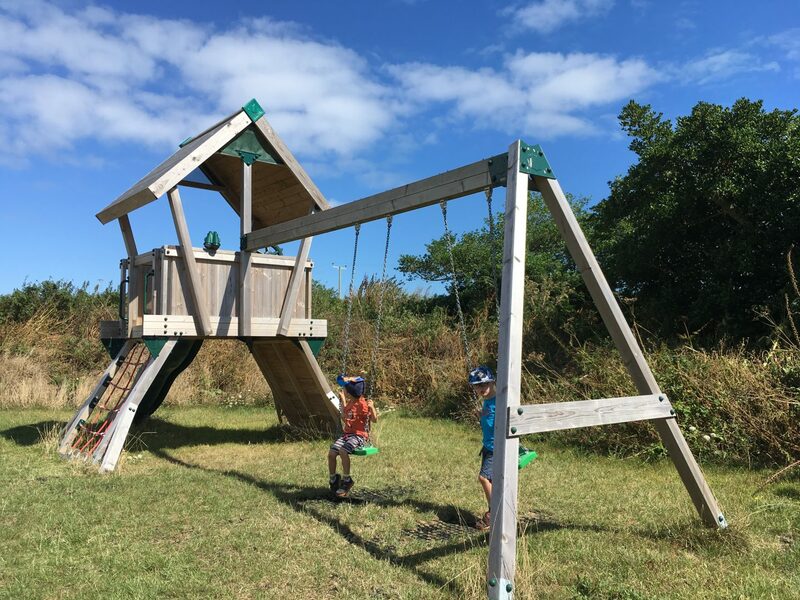 I was also rather taken by Morawelon Campsite in Wales, reviewed by Have Kids Will Travel UK. Wales has such beautiful beaches and this campsite is within walking distance of one, making it a really appealing place to stay. 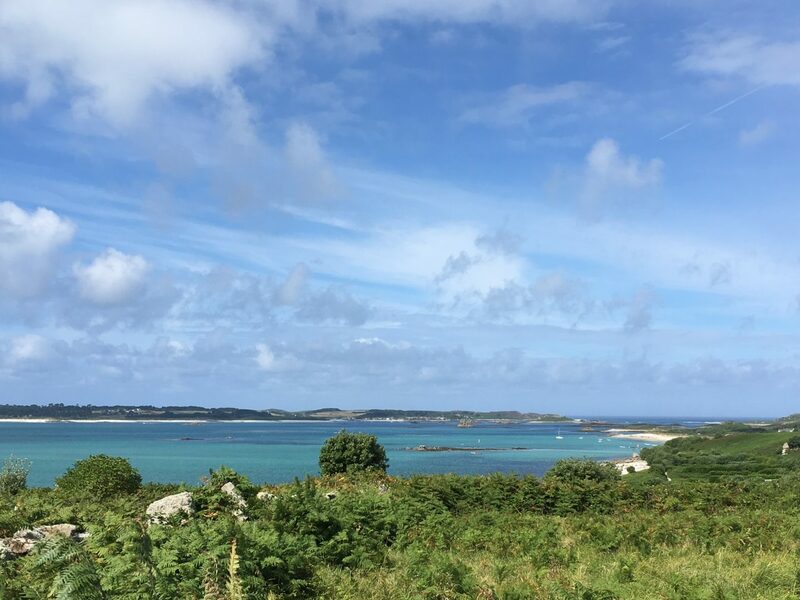 This month I’m linking up my post on Longstone Lodge and Cafe on the Scilly Isle of St Mary’s. We only popped by for coffee (and scones) at Longstone but it’s such a lovely and unique place to stay that I couldn’t resist writing about it. Have a read and let me know what you think. The Isles of Scilly sound dreamy! Definitely on my list! Going to sort myself and link up over the weekend! Definitely go! Even in the height of the school holidays the beaches were empty!